Last week it was announced that Holland America Line is the latest cruise line to acquire rights to sail to Cuba, with its inaugural voyage set to be performed in December by the Veendam. Elsewhere the new Black Seas Cruises sent its recently-acquired Knyaz Vladimir on her trial voyage before she enters service in two weeks. 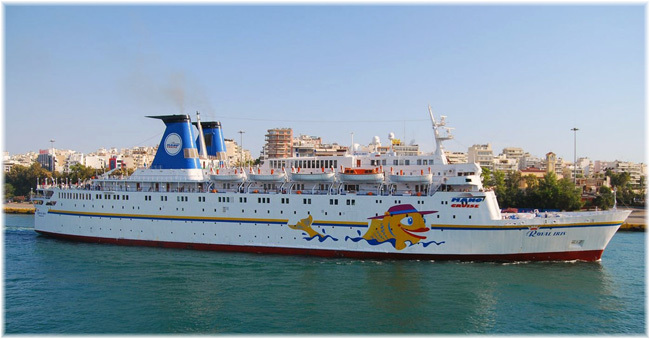 And Turkey’s Etstur has announced another season of Greek Isles cruises, this time using the Louis Group-owned Aegean Queen. Holland America Line has become the latest Carnival Corp & plc brand to sail to Cuba. The line has received approval to begin sailings to Cuba from Fort Lauderdale starting on December 22, 2017, with a 12-night cruise by the 1,348-berth Veendam. Carnival Corp & plc also offers Cuba cruises through its Carnival Cruise Line brand, which offers 4- and 5-night cruises to Havana on the 2,052-berth Carnival Paradise, starting in June from Tampa. The Holland America cruises will include nine 7-night deparures calling at Havana. Three itineraries will also call at Cienfuegos. 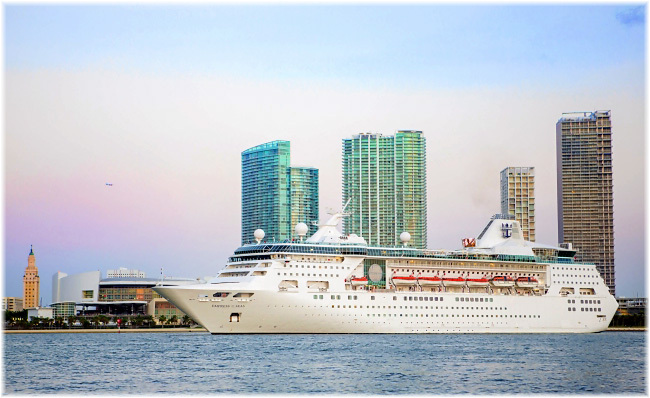 Depending on the departure day, cruises include the Cuba ports as well as a combination of Puerto Plata, Belize City, Costa Maya and Cozumel, Grand Cayman, Grand Turk, Key West and Montego Bay. Most Holland America itineraries will include an extended call at Havana. Itineraries that include Cienfuegos will allow for the opportunity to visit Trinidad, a UNESCO World Heritage Site. In addition to the 7-night cruises, an 11-night spring cruise on March 17, 2018, features the Cuban ports of Havana and Cienfuegos, as well as Key West, Cozumel, Montego Bay and Grand Cayman. The final 7-night Cuba sailing departs on April 18, 2018. Guests booked on Veendam’s previous deployment will be given a full refund and opportunity to book another Holland America Line cruise. Fares for Cuba cruises begin at $899 per person, double occupancy, taxes, fees and port expenses additional. Elsewhere, Royal Caribbean International’s 1,600-berth Empress of the Seas will make fifty-eight 4- and 5-night cruises to Cuba between January 2018 and March 2019, more than half with overnight stays in Havana. The ship will return to Tampa for summer 2018, offering a series of 4- and 5-night cruises, calling on Key West,Costa Maya and Cozumel, as well as Havana on most sailings. The ship will then position to Fort Lauderdale for the winter 2018-2019 season. 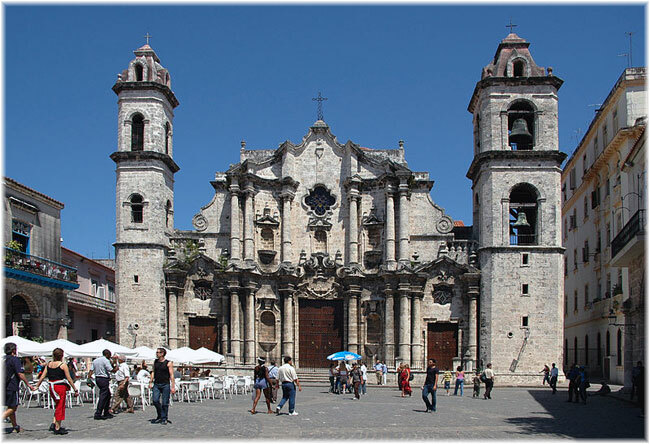 Azamara Club Cruises also recently announced the addition of four new sailings to its Cuba lineup. Departing from Miami, the new sailings will remain overnight in Havana and call at the new maiden ports for the line of Cienfuegos and Santiago de Cuba. Earlier this month, the 2,002-berth Norwegian Sky, Norwegian Cruise Line’s first ship to sail to Cuba, made its inaugural call in Havana. She will sail a total of fifty-three 4-night Cuba cruises out of Miami, including an overnight stay in Havana. The ship will also call on Great Stirrup Cay, Norwegian’s private island. A 6-day trial voyage of the 674-berth Russian cruise liner Knyaz Vladimir began yesterday, leaving Sochi on May 28. The ship is proceeding to Novorossiysk, Yalta and Sevastopol before returning to Sochi, where she has now been registered. In the course of this week’s voyage, the hotel and restaurant crew are being put through their paces in anticipation of taking on revenue passengers for her maiden voyage on June 11. With the name translated as Prince Vladimir, it appears that the vessel’s namesake is actually Vladimir Putin. The operating company, Black Sea Cruises LLC, was established by Rosmorport in January. Rosmoport is a Russian state operating company for icebreakers, of which it operates a fleet of thirty-five, plus tugs, pilot vessels, oceanographic research ships and other ancillary craft in ports such as Murmansk, Archangel, Valdivostok and in the Black Sea. In all it operates 266 government craft of various kinds and also the tall ships Mir and Nadezhda, which are used as training vessels. 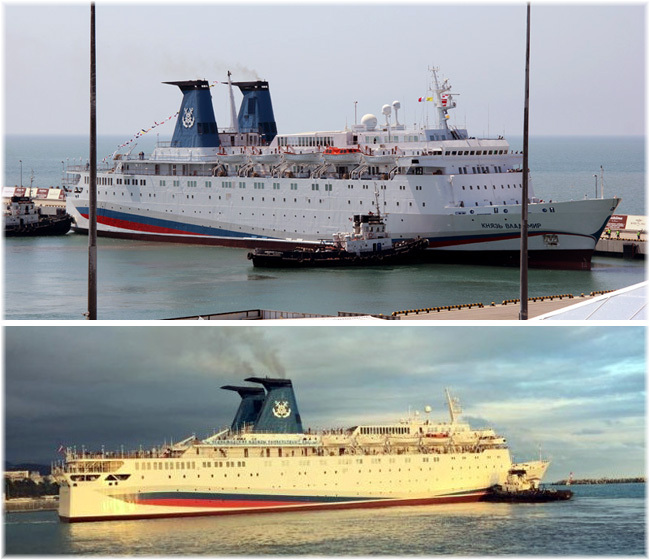 The Knyaz Vladimir was built in 1971 for P&O’s Southern Ferries as the long-distance ferry Eagle, and when that operation failed she passed to other owners such as Chandris and Festival Cruises under the names Azur and The Azur. As the Royal Iris, she then operated for from Israel. She is the only survivor of three sister ships that once also included Paquet Cruises’ Massalia and Fred. Olsen’s Bolero. Not since the Odessa-based Black Sea Shipping Company entered bankruptcy in 2009 and the Maxim Gorkiy was sold for scrapping in India has there been any Russian-flag or Ukraininan-flag cruise service, although a number of ferries are operated under the Ukraine flag. At one time, in the mid-1980s, the Black Sea Shipping Company operated the largest passenger fleet in the world, earning hard currency for the former Soveit Union. Turkish tour operator Etstur is to charter the 550-berth Louis Aura for a season of cruises from Cesme (Izmir), sailing to the Greek Islands. The season of 3- and 4-night cruises will run from June 24 through early October, with fares starting at €199 per person. 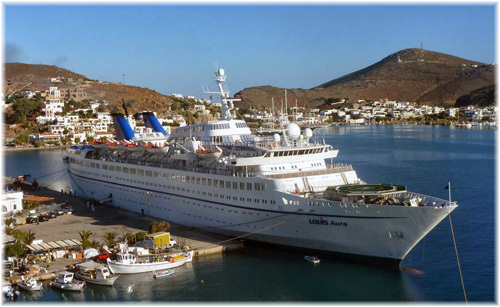 The Louis Aura, built as Starward, was one of the original late 1960s Norwegian Caribbean Line “white fleet,” and will revert to an earlier name, Aegean Queen, for the season. Etstur had previously chartered the 652-berth Delphin, while Louis Aura had been chartered by the French-based Rivages du Monde. This year Rivages is using the 550-berth Astoria. Starting as a tour operator in Istanbul in 1991, Etstur has grown and chartered full ships under its own brand since 2012. It is expected to carry about 30,000 cruise passengers this season.